1. Drag and drop video clips. 2. Create audio from text-to-speech easily. 3. Create to or more clips from a single clip. 4. 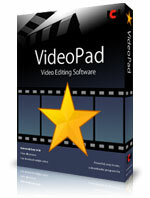 Edit video clips and apply various effects. 5. Converts your video clips in many formats. 6. Add video transitions directly from the clip. 8. Supports importing various formats images, audios and videos.